Project ALOE flourishes with community participation! Project ALOE is a beauty drive to help girls be fit, fabulous and focused for college. 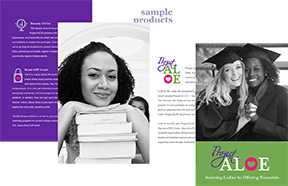 It is a collective effort to assist college bound girls by providing them beauty essentials, advice, mentorship, and leadership opportunities. We accomplish this through our beauty drive and send-off event. We are grateful for all levels of support. Volunteers coordinate and execute the beauty drive, Pack-N-Play, and P.A. Cares Send-Off event. They are the machine behind Project ALOE. Sign up to Volunteer here. Our sponsors are corporations, organizations, institutions and/or individuals that support Project ALOE by donating products in bulk quantities, purchasing multiple care packages and/or sponsoring girls. Click here to learn more ways to sponsor. Project ALOE Ambassadors are beauty, fitness and education experts that believe in and advocate for Project ALOE. 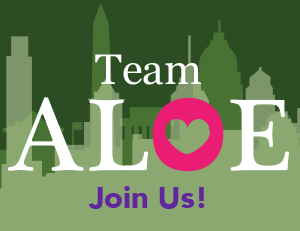 Ambassadors utilize their platform(s) and network to promote Project ALOE. As an Ambassador, you are an honorary member of the Signature RED Cares leadership team and assist local chapters with their efforts to conduct a successful beauty drive and send-off event.. For more information about becoming a Project ALOE Ambassador, feel free to contact us. Hosts dedicate their time and resources to plan and execute a beauty drive and send-off event in their area. A host can be a non-profit organization, school, or business. The Project ALOE headquarters in Philadelphia offers support and all of the materials needed to officially host. Feel free to contact us for more information.